I thought I would try to figure out how to share some of my projects on here. 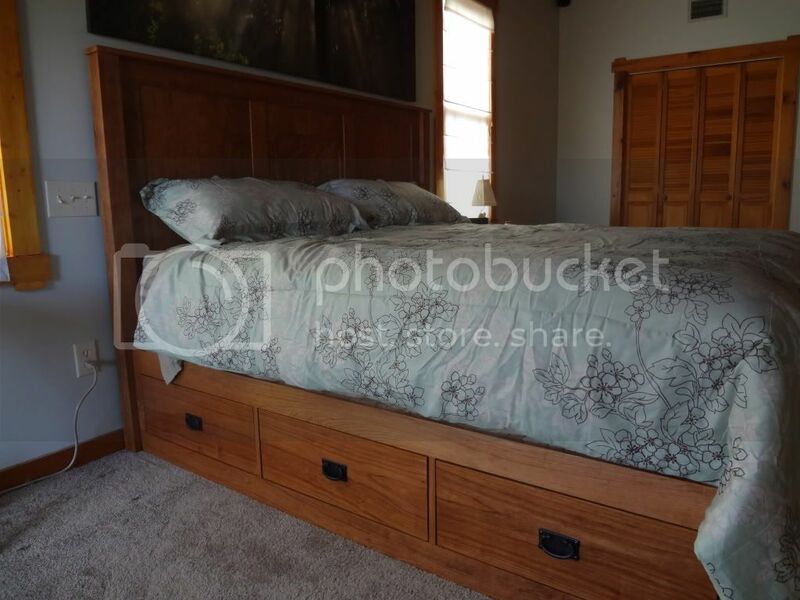 We'll start with a King-size bed that I finished a few weeks ago. I have been trying to get some good pictures of it and this was the best I could do. I wanted to spread the model out over the three panels, but it was way too deep to do that. So, I settled on a smaller carving in the center panel. I still had to reduce the Z in it to make it work and it lost a little detail, but it still doesn't look too bad. 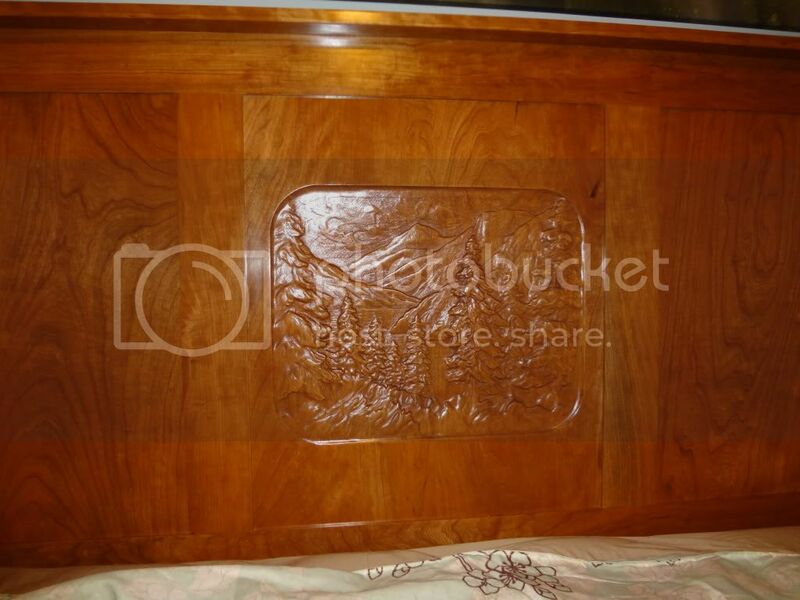 I have made the panels in the headboard so they can be removed later to change them. I would also like to say that working with James on this was a pleasure. With the dealings I have had with some companies lately, it's nice to know that customer service still exists out there. Thank you James! Looking forward to pictures of your other projects. Thank you Tim, the pictures really don't do the bed justice. We don't have very good light in the bedroom right now. Once I get the nightstands and dresser done, I can put some more lights in there. I have totally redone most of this house, so now it's time to furnish it. I'm just happy to have the room done and the bed init right now. Really nice job! I like how the sky truly looks like the sky. The sky and waves are some the most difficult to reproduce (for me anyway). I can't wait to see more as well. Tom - very nice - I also like the bear on the other post too - would it be OK to post on our gallery? If so PM me with any name or info you would like as credit. James, you're welcome to use any of my pictures in your gallery. I have several more projects using your models when I can get around to getting pictures posted. You can just use my name on them (Tom Day).